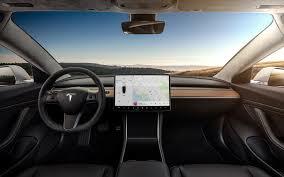 I have admired the Tesla cars since they were launched. But only the wealthy could afford the product. Elon Musk, the visionary and founder of Tesla thinks about transforming and improving the world we live in. I think he is single-handedly changing our world and the way we operate. Last week, he launched a new and gorgeous product that is not as expensive as his previous creation. 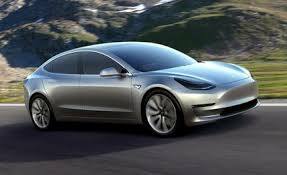 The new car, Tesla 3, reflect the same commitment to design quality and dedication to creating a new new automobile. This goes down in history tantamount to the creation of cars and of airplanes. Of course, the fact that is an all electric car is revolutionary. In addition to that milestone, Tesla has a commitment to quality an design aesthetics which are reminiscent of Steve Jobs and Apple. The exterior is beautiful. The front dashboard has no elements or instrumentation. I has only a computer screen, similar on iPad that provides speed and basic functions a driver would expect. And it allows control of all car functions as well as other features (mapping, GPS). This design is revolutionary as well. The car starts at $35,000 for the basic model. You can upgrade the battery length/distance and there features such as a moonroof. I will never be able to afford this beauty be the price is realistic and will help transition the auto industry. The article enclosed says that the UK has made oil (petrol)/gasoline vehicles to be illegal beginning in 2040. Volvo has also committed to moving to an all electric product line. This is so wonderful for every driver on the planet. We will eliminate our dependence and gouging by oil companies and countries around the world that are making Trillions of dollars because of our dependance on oil. I wouldn't be surprised that the lunatic president in office now, as well as the oil industry and the countries that produce oil, don't do something to hijack them. This could make them all obsolete. I don't think that will happen without inference. These components in the current world make so much money. Most of our politics are based upon this resource. I hope for mankind that Elon Musk is truly launching a new age. But I am very jaded about the world and big corporations and politics.